1. 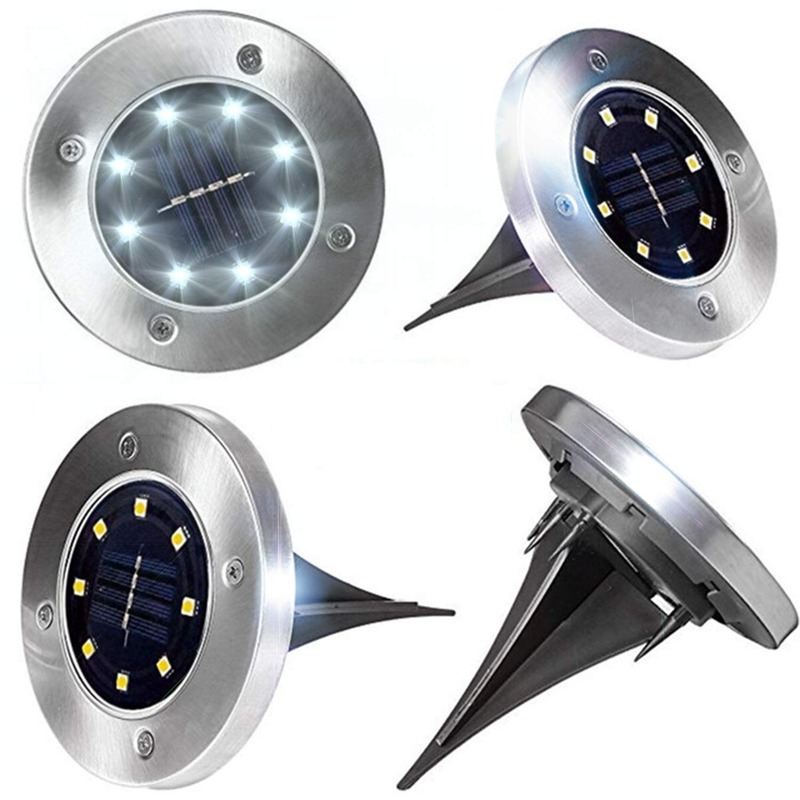 STAINLESS STEEL SHELL – This solar ground light are made from the stainless steel and plastic construction. It means that is not afraid of abrasion and have a long useful life. 2. WATERPROOF ACCESSORIES –The on off button on the back side is covered by a sealed rubbe. The LED Buried lamps built-in silicone waterproof material and can work under varieties of weather with the waterproof rating of IP65. 3. EASY TO INSTALL - With ABS plug-in accessories, you can fix the light and open the switch in one step. 4. ULTRA IMPRESSIVELY BRIGHT –Designed with 8 LED Bulbs with high quality LED light source, pvc lampshade which have good light transmission and uniform light. 5. WIDELY TO BE APPLIED – It can provide enough light to place around our property in ground and flower bed.